Blues are - and probably always will be - a favourite go-to colour scheme for quilters. 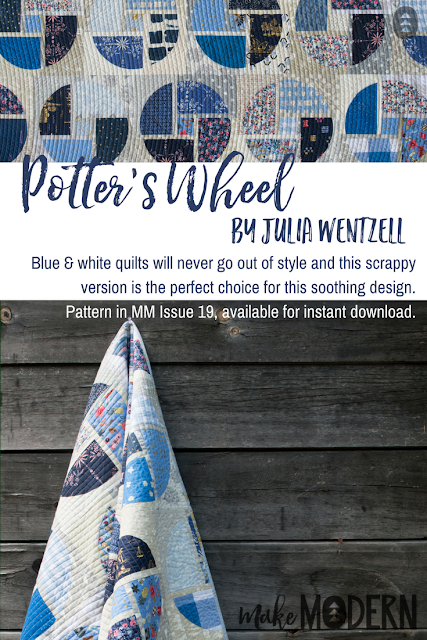 We adore how Julia Wentzell, the maker of this beautiful Potter's Wheel quilt, combined blue with low volumes for timeless beauty. 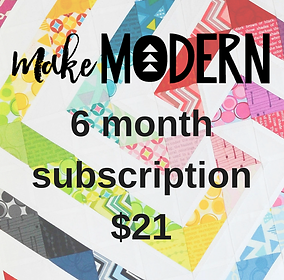 This quilt is scrappy, but to ensure cohesiveness, Julia used a selection of Cotton + Steel prints, another of our very favourite things! 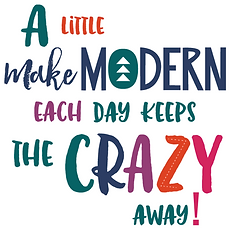 Julia is half of the fabulous design team Briar Hill Designs, who just launched their first fabric collection, June's Cottage, from RJR Fabrics. 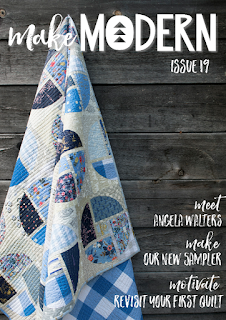 Potter's Wheel is the cover quilt for Issue 19 of Make Modern, out now.